My wife Tracy commented to me that she sees lots of people taking selfies with celebrities and posting them online, and finds it ironic that the type of people the New York City Relief staff takes selfies with on the streets are the opposite of celebrities. They are the least valued people in our culture who are almost completely anonymous to the point of invisibility. Those who are developmentally disabled are especially avoided and sometimes even scorned. The homeless are anti-celebrities in America who most wouldn’t want to take a picture with, unless they were trying to be funny and ironic. Makes you wonder who Jesus would take selfies with. Course words used in American history to classify the mentally impaired were “fool” or “idiot”, meaning someone who is weak minded, stupid, lacking judgement or sense. Psychiatric facilities were actually sometimes called “Asylums for Idiots”. Fortunately, we don’t label people like that today. This blog details a few encounters with some of our friends on the streets who are daily facing mental and emotional challenges. On a chilly Friday morning, we rolled into Chelsea Park in midtown Manhattan to discover a space barely large enough to fit The Relief Bus. Using his Jedi parking skills, Outreach Team Leader Brett Hartford miraculously parallel parked our leviathan-on-wheels between two parked cars with just inches to spare. We anticipated a lower turnout that day, since we had been gone the week before due to a holiday break. However, the soup went quickly as hungry people lined up to fill their stomachs and warm their bodies. It was a cold day, the kind that beats your body down. My feet were numb and my fingers ached. Our outreach that day was only four hours long. 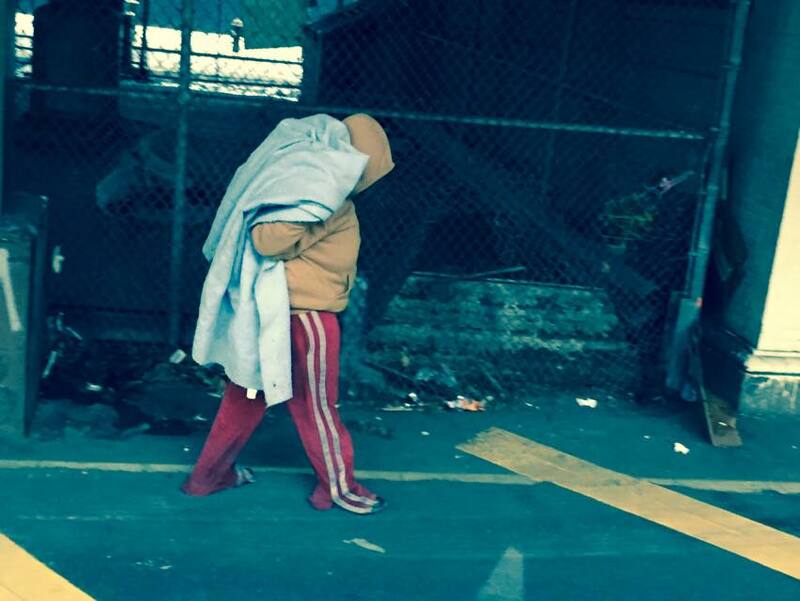 It makes you wonder how hard it must be for someone enduring an entire winter on the streets? 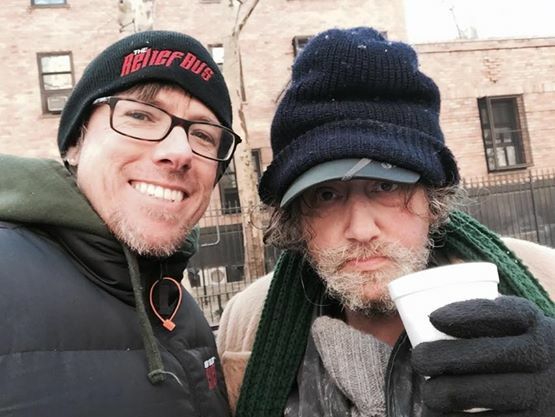 I met a homeless man named Bob who I had met once before when he helped shoot a video segment with us where staff, volunteers and homeless friends read Isaiah 58:6-12. Bob is developmentally disabled and is not always able to grasp reality. My heart was touched as I talked to him in the frigid weather. 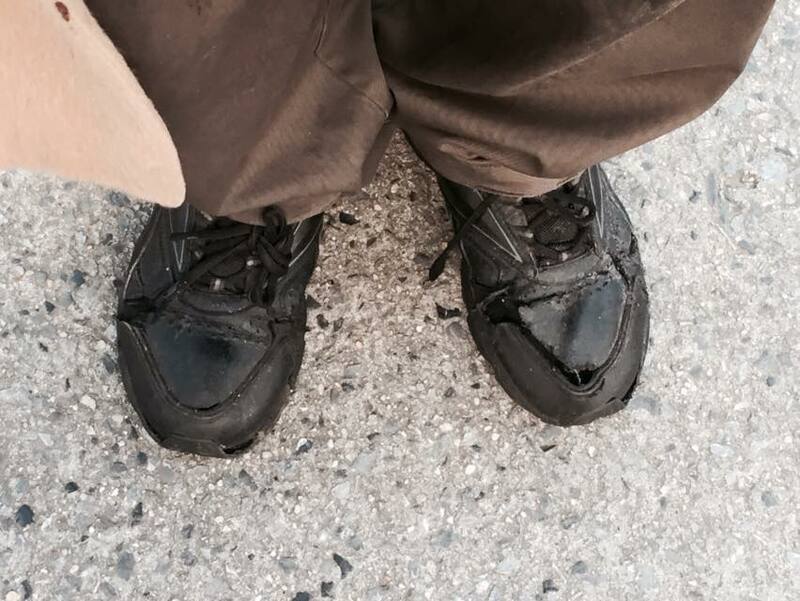 He stood there in his shoes full of holes and tried desperately to hold a conversation. The words Bob said didn’t make much sense and he stuttered a lot. He is a wounded soul. It was hard to get to know him. It was hard to find something we had in common. When I got home after outreach, I showed Bob’s photo to Tracy. She remarked how sad he looked, but I reflected to her that I had a great time with him that day. I wondered out loud who in this city of millions would give Bob the time of day and treat him like he mattered? Who else is going to give Bob a hug? It felt like a privilege to be a part of his life and be a part of God’s beautiful plan to love the unlovely (at least by this world’s standards). Our human inclinations to judge people based on their productivity, and value them based on their intellect are such folly. As I read this scripture in Psalms I see it as a prayer for someone like Bob: weak, looked down on, unappreciated, but loved by God. In reality, this prayer was not written by a poor, homeless person, but by a king named David. Maybe I have more in common with Bob than I think. I find that it is easy to be fatalistic when a homeless person is developmentally disabled. It’s not possible to “fix” the person, so we throw up our hands. The only problem is that this mentally confused person is more precious than all the gold, diamonds and Bitcoins on earth. If I can’t solve their problem, than why not use my energy where it can be more “productive”? There are lots of needy people out there longing for help. If we can make half an hour, 15 minutes or 5 minutes of that person’s life better by giving them ourselves, it is a high-yield investment with a guaranteed return. I’m talking about a Kingdom economy that supersedes what is going on in the stock market. The next day I went out again on The Relief Bus to Harlem. 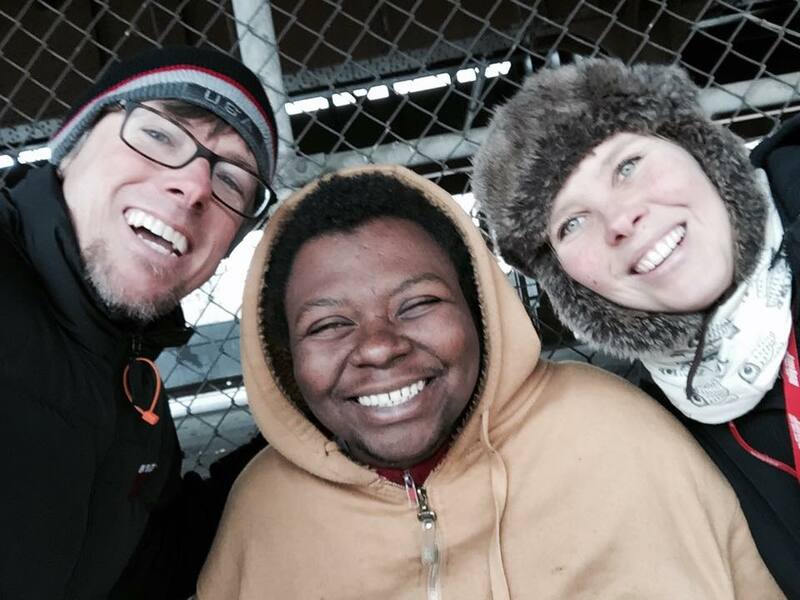 It was there, on another cold, and this time snowy day that I met a 34-year-old homeless woman named Nadia. She wore a sweatshirt and wrapped herself in a ratty blanket. Although also plagued with psychological issues, Nadia was the opposite of Bob in some ways. She was smiley, upbeat and could hold an articulate conversation. As I chatted with Nadia, she rolled a funny cigarette, and probably not the kind you are thinking of. 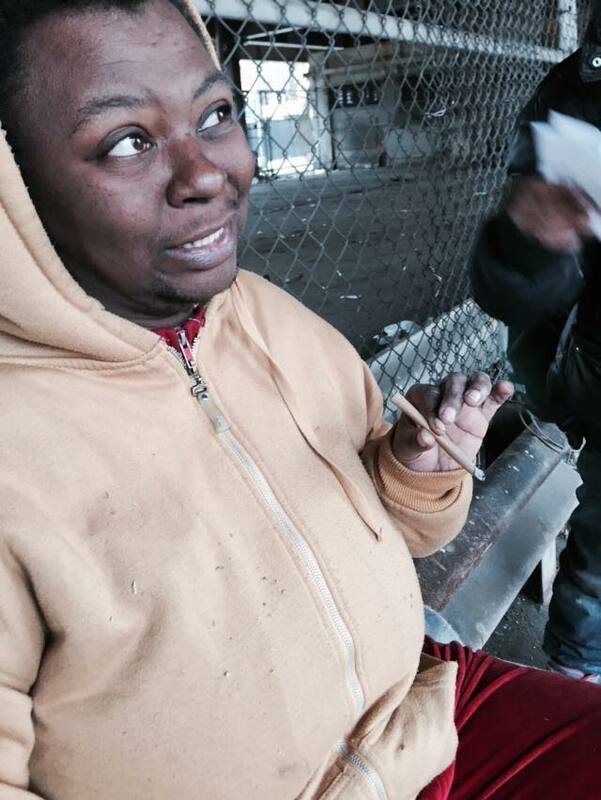 Nadia lit up a homemade cigarette loaded with a popular new street drug known as K2. K2 is marketed as incense or aromatherapy, and is sold legally in local bodegas. K2 is actually a mixture of herbs, spices or shredded plant material that is sprayed with a synthetic compound chemically similar to THC, the psychoactive ingredient in marijuana. It can cause delusions and hallucinations along with other serious effects such as seizures and heart attacks. I explained that K2 is highly toxic, but Nadia didn’t believe me. 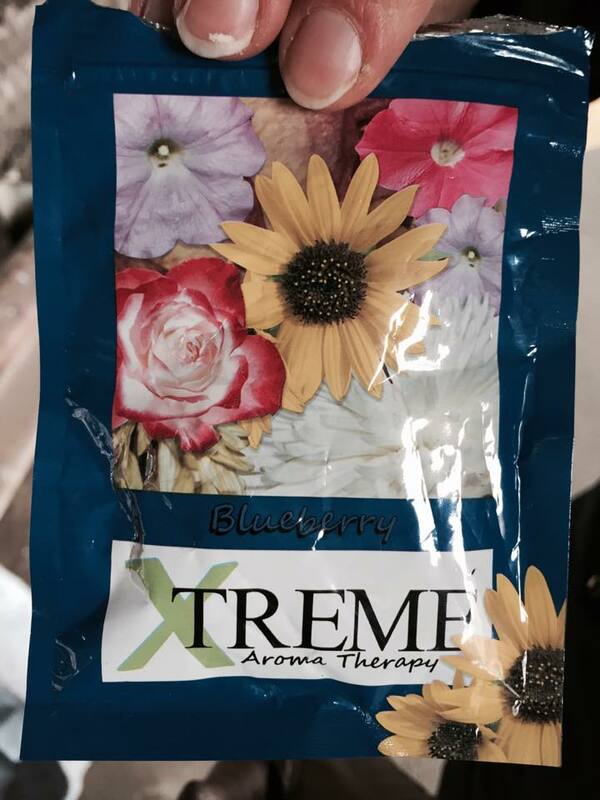 She showed me the brightly colored packaging it came in, decorated with flowers and featuring a blueberry scent. Nadia was very friendly and told me the story of how she came from Chicago after doing some jail time. We talked about the dangers of living on the streets which she grasped somewhat, but she also talked about how great her life was. Her childlike mind couldn’t completely fathom the kind of crisis she was actually living in. I’m sure that when people interact with her, they shake their heads. Assistant Outreach Director Johanna Soukka gave Nadia some emergency shelter information. We prayed for her under the train tracks and declared that she was precious to God- too precious to be sleeping out in the open. We gave her hugs and took a selfie together.